We use this entry to bring you good news about an important new law passed in New York. We have previously discussed a type of motor vehicle insurance known as Supplementary Uninsured Motorist ("SUM") Coverage (posted on August 12, 2016). Sometimes this insurance is referred to as “underinsured” motorist insurance. As a refresher, SUM coverage can supplement the amount of insurance available to you to compensate you for your motor vehicle accident-related injuries. This type of coverage essentially protects you from being injured in an accident as a result of a negligently owned or operated vehicle which carries less insurance that you carry. As an example, if you carry $100,000 in SUM coverage, you won’t have to worry about a vehicle being operated with the state minimum of only $25,000 in liability insurance. Your own company will step in to raise that ceiling to the level of $100,000. Many companies will write a policy with a SUM limit as high as your liability limit. That means that if you carry $500,000, or even $1,000,000 in liability coverage, you can carry that amount in SUM coverage. SUM coverage avoids the awful situation where someone sustains very serious injuries as a result of an accident with an owner or driver with only a minimal policy available. The problem is that many people have simply never heard of SUM coverage, and for that reason they wind up not purchasing this insurance, even though the premiums are surprisingly low, at least as compared to the premiums for liability and collision insurance. In December 2017, Governor Cuomo signed the "Driver and Family Protection Act." 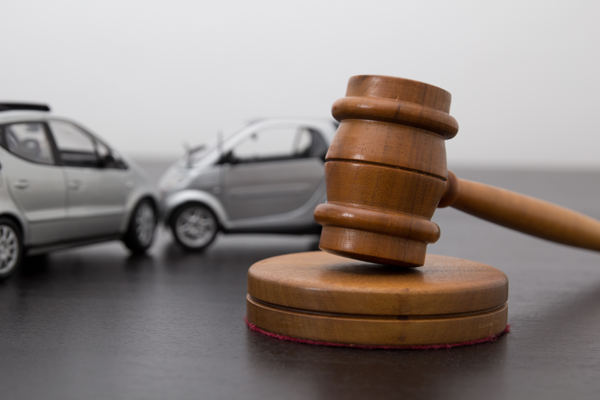 Under this new law, automobile insurance carriers are required to offer SUM coverage with the same limit as the level of liability coverage purchased. Customers would have the choice to “opt-out”, and not purchase this coverage at all. SUM coverage is not required, because unlike a failure to purchase liability coverage, a failure to purchase SUM coverage hurts no one but the insured without the coverage. The insurance company would have to obtain a signed waiver from the customer. This will compel the insurance company to actually explain SUM coverage to the customer, and give that customer the opportunity to purchase the coverage or not. The point is that the customer will be making an informed decision, instead of not purchasing SUM coverage due to not being aware that the coverage is even available. The law becomes effective in June, 2018, 180 days after it was signed by the Governor. The Department of Financial Services, (the old Department of Insurance exists under this agency) will most likely promulgate regulations to cover the practice aspects and minutiae of this Act. The Act also contains a repeal date of June 30, 2020. In the meantime, here’s our recommendation. Take a look at the “declaration page” of your automobile insurance policy; it’s usually among the first few pages in the packet. Review all of the coverages listed. At some point you’ll see the words “Uninsured”, or “Supplementary Uninsured”. If you carry only $25,000 in liability coverage, then that’s the limit of Uninsured or Supplementary Uninsured coverage that you’ll see listed. If you carry anything more than $25,000 in liability coverage – $ 50,000, $100,000, $300,000, or even higher – and you still see that amount of $25,000 as the limit for Uninsured or Supplementary Uninsured coverage, call your insurance company and increase your coverage (you can call your broker if you didn’t purchase directly from the insurance company). SUM coverage is so important, and so easily affordable. The Driver and Family Protection Act is sure to help avoid the scenario where someone is unable to obtain fair compensation because they simply didn’t know that SUM coverage was available. We want to stress that the new law does not make SUM coverage mandatory; the law provides a common sense approach, because it gives motor vehicle insurance customers a choice. The White Plains Injury Attorneys at Worby Vecchio Edelman have a combined experience of well over 100 years representing injured victims of all types of accidents. Call us first if you’ve been hurt in a motor vehicle accident, or any other type of accident. We’ll explain your rights, and make sure that all deadlines are met. Being hurt in an accident is bad enough; let us handle the legal aspects. We’ll process your case in an efficient manner, and answer all of your questions. We work on contingency, so there’s no up-front payment involved, and you won’t owe us a fee unless we recover money on your case.